to be a point of contact for those providing evidence for further amendments and additions. It is not 'the books on-line'. It appears with the kind permission and continuing assistance of Bill Chorley, the author of the series. Its aims are approved by the publishers of the books, Ian Allan Publishing Ltd.
We hope it will enable Bills series to continue to be relevant and current to those who served in RAF Bomber Command, their families and the many for whom the series is an invaluable research source. The published additions and amendments have been scanned. Where there was more than one published amendment for a loss these have been consolidated. Units have been added to help searches. Despite checking, there may be some errors in the website editor's scanning and sorting of amendments. If you believe you have spotted such an error please contact us - see below. If you do not have the whole series please bear in mind that amendments listed in your books may have been updated in later volumes. This is book/page unit/aircraft serial e.g. 1944/294 207/LL973. There is a Search this site link provided in the menu. This site is frequently updated - see the Updates Log page to keep track of these and to request change notification. If you have a strong case for an addition or an amendment to be made, please contact us - see below. All updates are approved by the author, dated and credited. The message format guide may be helpful when you send us an email. Your message will go to both Bill and Frank. this site, the series and Bill Chorley are acknowledged. 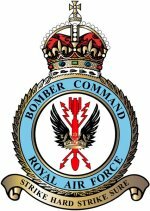 This website is maintained by Frank Haslam, editor of www.rafinfo.org.uk sites hosted by 207 Sqn RAF Association of which Bill Chorley is an Honorary Member. This page updated 12 Aug 2008.